In every classroom, there may be those who struggle or need a little extra help. Though there are many reasons why students struggle, the goal of teachers, tutors and parents is unified; we want students to understand and learn the material. We are overjoyed when they get good grades, retain information, and develop into lifelong learners, but let’s start with the basics and make sure we are reaching each student to increase understanding. Tutors help students with hard skills, so we should be taking our tips from their playbook. Tutors know that assessing soft skills helps students retain hard skills. The educator’s struggle is reaching the needs of all learners in the classroom. It’s often difficult for teachers to differentiate learning within group meetings during short periods of time. Teachers are already super human, but they can’t possibly, intrinsically know each student’s differing needs and personal preferences, as well as meet each individual student’s need in the allotted teaching time. When students fall behind, they often call in the tutors. Tutors have a luxury typically not afforded by teachers; they work with students one-on-one and in doing so, can target learning initiatives. Therefore, tutors have become the de facto authority on targeted learning, and we look to their expertise as to how best to work with students who need a little extra help. Tutoring companies are tasked with instructing hard skills, but they first assess soft skills and personal preferences to develop a learning plan. Some of the largest tutoring companies tutor millions of students every year. They use a series of diagnostic tools in their proprietary software that allow their tutors to assess soft skills in students. Soft skill assessments helps guide the tutor on a tutoring program based upon the student’s individual preferences. Which doesn’t mean communicating the same way, for the same length of time with the same instruction. Each student comes to the learning table with various needs, preferences to receive information, processing styles, motivations, behavior and personality. Tutors must utilize strategies which meet the individual needs and capitalize on each student’s strengths. In addition, they must find ways to strengthen or grow areas that are limited in the student. The tutor can’t reach students or “get through” to students if they can’t have effective communication with the student. Since all students are different, tutors need to discover the student’s primary communication or personality style. Knowing the student’s personality style will open up a whole window of insight into how the student prefers to relate to others – through tasks or through relationships, how decisions are made, how they prefer to work in groups, their greatest fears, and basic communication guidance. Personality Style analysis is essential to begin and should be the first springboard for developing a student’s learning plan. Since learning, at its basis, is about taking in new information, understanding it, and making connections to other bits of information or building upon other information, it is essential that a tutor knows how a student best absorbs information. Tutors can assess the student’s best method for receiving new data as either hearing, seeing, or interacting with the data. Once the student’s Perceptual Learning Style is known, the tutor can target curriculum delivery accordingly. Not only do students absorb information better according to how it is presented, students also have personal preferences for how they process information. Once information is presented and is introduced, we subconsciously and voluntarily process the information. Not everyone processes the information the same. Some see information more literally and linearly, while others have a more random approach. These processing preferences are good indicators for study skills enhancement. Tutors who assess Cognitive Learning Styles can use student’s processing strengths to their advantage, by targeting learning strategies using those cognitive strengths. Each student has a core set of values which guides their thoughts and actions. No one can see them, but core values are working within us each day, driving our choices. Revealing these underlying motivators in students is another preference that, once uncovered, can help us devise targeted learning plans for each student. Student’s Values Style, or Motivational Style, should be considered in the mix when setting up learning curriculum. Underlying motivators will help you create a motivated culture for which to keep the student accountable to the learning goals. 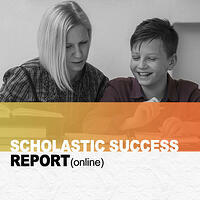 Use The Scholastic Success Report by PeopleKeys as a springboard to develop targeted learning plans. Teachers, Tutors, Parents and Students are all given a report to help get everyone in-sync regarding the communication preferences of the student. PeopleKeys has had success in behavioral analysis and Unlocking Human Potential for over 35 years. As a world leader in customized behavioral assessments and delivery systems, PeopleKeys prides itself on delivering excellent customer service, an international platform, and the most customizable and tailored solutions around.